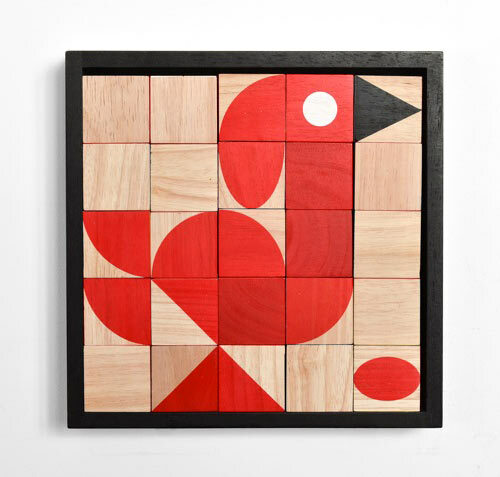 UK design studio millergoodman creates modern classic artistic inspirational open ended toys for kids and adults such as the wooden block games ShapeMaker and PlayShapes. 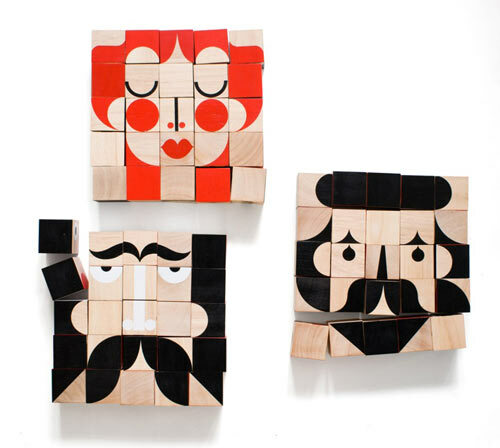 They launched a new block toy called FaceMaker at the London show HOME that just debuted this past week. 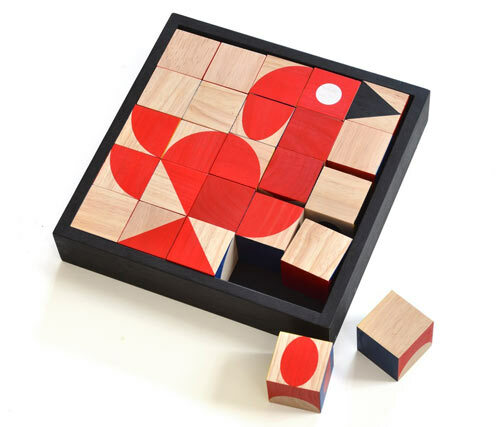 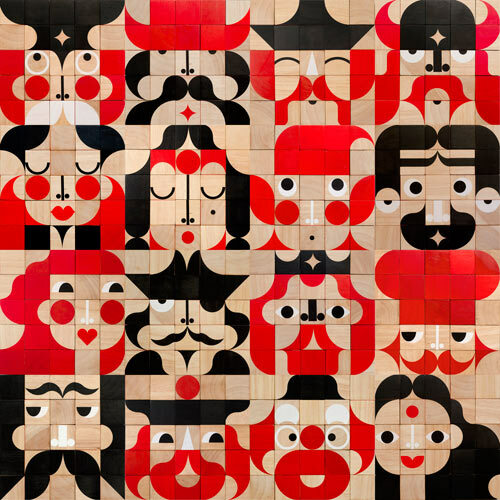 Also for HOME, they produced a deluxe version of Shape/FaceMaker in a black wooden frame, allowing the puzzles to be played with in the frame and then hung on the wall.